Lower rates of taxes and exemptions only make the rich super-rich without affecting growth and development. WITH the budget fervor and excitement having settled down after introduction of the Finance Bill, 2017, in Parliament on February 1, 2017, it is time to think of long-term reforms for socio-economic betterment, which can be ushered in through the tax laws. Regretfully, the budget presentation in the country has been made a great occasion, which, in essence, is merely an account of revenue receipts and expenditure of the Central Government. The budget exercise, being an exercise to be done in a time bound way, long-term reforms, needing policy changes from long-term perspectives, cannot be rushed through the Finance Bills, though sometimes, finance ministers have found it convenient to bring some such provisions, requiring detailed debates through Finance Bills because of the experience in the past few years where the Finance Bills get passed summarily in Parliament for varied reasons, including paucity of time. I fear, the same is going to be repeated in regard to Finance Bill, 2017. Hence, significant well-thought measures, with long-term goals, can be brought in only by Amendment Acts after wide discussion and, if necessary, by referring the same to the Finance Committee for its views and not by annual Finance Bills. One aspect, that has been bothersome, is the growing concentration of wealth in fewer hands. This is confirmed by the January 2017 report from Oxfam, an international NGO, titled ‘An economy for the 99%’. The report reveals some startling facts. It discloses that the world’s richest 8 people owned as much as the world’s poorest 50 per cent put together. It is seen from the report that the richest man in Vietnam earns more in one day than the worst-paid worker earns in ten years! And that one in nine people in the planet go to bed hungry each night. 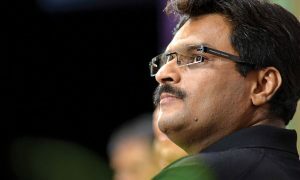 The report also reveals some hitherto unpublished information about the Indian super-rich. The annual dividends paid to the owner of Zara Fashion House are 800,000 times the annual wage paid to a garment worker working in India. Most striking of all though is the fact that the wealthiest 1 per cent own 58 per cent of the country’s total wealth. This is particularly of great concern given recent research that shows that a country’s growth is slowed down by the number of billionaires it has! 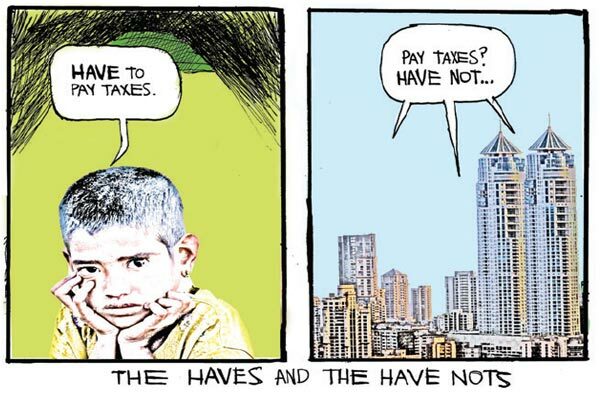 Some weeks back, the print media [Economic Times and Times of India) reports showed that the income of the richest 10 per cent in India went up by over 15 per cent; while the income of the poorest 10 per cent fell by over 15 per cent in the last 20 years. 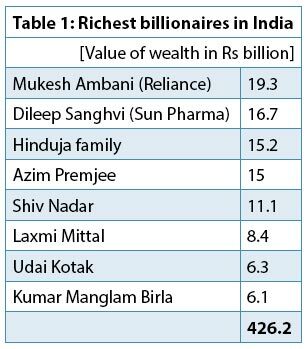 The newspapers have given information about 8 richest billionaires in India, whose reported wealth is given in Table 1. The Indian position is practically on similar lines vis-à-vis the world. But that should not be a matter of apathy for the government. The trend shows that the rich are getting richer and the poor even poorer. With the passage of time, the diversity between the rich and the poor is starker than previously. According to Oxfam, it is time to build a human economy that benefits everyone – not just the few privileged ones. The problem of concentration of wealth, as shown by Oxfam is baffling. However, in a short write-up, like this, a consolidated action plan to reduce global disparity, obviously, cannot be worked out. Hence, the discussion is concerning how disparity in wealth distribution can be minimised, if not altogether eliminated, in India. Successive governments at the Centre have been generally indifferent to wide disparities despite the fact that the Constitution of India disfavours such concentration. The Preamble to the Constitution stipulates India, inter-alia, to be a ‘socialist’ republic and to ensure ‘social justice’. The Preamble to the Constitution contains the ideas and aspirations or the objects, which the Constitution-makers intended to be realised by the enacting provisions. Thus, the Preamble could be said to contain the philosophy of the Constitution, which aims, inter-alia, to end poverty and lead to abridgement of the gap between the haves and have-nots. Socialism ought not to be treated as a mere concept or an ideal but the same needs to be practised in every sphere of life. The concept of ‘social justice’ consists of diverse principles essential for the orderly growth and development of personality of citizens. The principle of social justice resides in the idea that all men shall have equal claims to all advantages, which are generally desired and equality of opportunity is an important aspect of providing social justice. The expression ‘social and economic justice’ involves the concept of ‘distributive justice’, which connotes the removal of economic inequalities and rectifying the injustice resulting from dealings or transactions between unequal in society. It comprehends more than just lessening of inequalities by differential taxation, giving debt relief or regulation of contractual relations; it also means the restoration of properties to those, who have been deprived of them by unconscionable bargains; it may also take the form of forced redistribution of wealth as a means of achieving a fair division of material resources among the members of society. The ideal of economic justice is to make equality of status meaningful and life worth living at its best-removing inequality of opportunity and of status – social, economic and political [Dalmia Cement (Bharat) Ltd. v. UOI (1996) 10 SCC 104]. These articles are in the Chapter, dealing with the Directive Principles of State Policy and it is the duty of the State to follow both in the matter of administration as well as in making of laws. These embody the aims and object of a welfare State and the ideals of socio-economic justice. In spite of the position prevailing in the country, there has been total neglect of situation of growing monopolies and disparities in wealth. The then government, which brought in the Monopolies and Restrictive Trade Practices Act, 1969, had been totally lukewarm to the provisions relating to checking of monopolies and the MRTP Commission was starved of work relating to monopolies. The Act was reduced to be a legislation for merely checking restrictive trade practices and finally, the MRTP Act was scrapped. THE Direct Taxes Acts like the Estate Duty Act, 1953 and the Wealth Tax Act, 1957 could have been used as instruments, to a limited extent, for reducing concentration of wealth in fewer hands. The ED Act was scrapped on the ground that it is too complicated. A simple Act was brought in Parliament in 1969 titled ‘Inheritance Act’, imposing tax at moderate rates, but it was not taken up for discussion and enactment and ultimately it lapsed with the dissolution of the Parliament. No one talks about this since then. Wealth Tax could have been a leveler of wealth to certain extent but successive governments showed total apathy towards this Act. It was loaded with exemptions, which impacted collection of tax. The maximum rate of 2 per cent tax on wealth was also reduced to 1 per cent. Apparently, with lax administration, the revenue from this tax went on declining and ultimately low revenue became the reason for its elimination. The Wealth Tax was abolished by the present Finance Minister Arun Jaitley in the second year of budget presentation by the NDA Govt. Non-regulation of Trusts, which are being used on large scale to avoid income and whose wealth was exempt under the WTA when it was in force. CHECKS on growth of monopolies and concentration of wealth, it is argued, would be anti-progress measures, limiting GDP and economic advancement. But, giving such processes, unregulated freedom to grow to the detriment of the common people, is equally bad. Hence, a middle way striking the balance is needed. A welfare State, like India, cannot allow the position indicated in earlier paragraphs revealed by the Oxfam report to continue unabated. Hence, it has to act and act fast in the matter. Action on various fronts, including tax laws, is necessary. 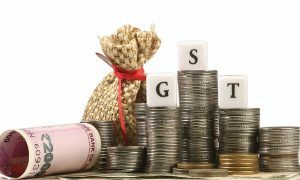 This write-up deals with few measures that need to be taken under the direct tax laws. It was unfortunate that Jaitley thought of doing away with this tax instead of making it revenue yielding by strengthening its provisions to make it more effective, curtail exemptions and have a look at rate structure to make it revenue yielding and simplify the provisions to make implementation easy and smooth. This Act needs to be restored in a revised form. The Estate Duty Act, in its old form, was complicated and cannot be restored. However, a Bill to bring it back in the form of an Inheritance Act on the lines introduced in the Lok Sabha in 1989 is necessary. The 1989 Bill can be examined to update it and make it a useful tool for wealth leveling. Exemption of dividend income (say above Rs 20,000 in a year to keep the interest of small investors in equity investments) needs to be withdrawn. Exemption of agricultural income and income of farm houses also – say above Rs 3 lakh (over and above the basic exemption limit), to start with, should be withdrawn. Similarly, farm wealth above basic exemption limit also needs to be taxed. The above are random thoughts. The entire exercise needs to be planned and executed in a perfect way after getting recommendations from a Commission, headed by a Judge of the Supreme Court or High Court in a fast track manner, making the Commission give its report in six months’ time. The Oxfam report should indicate danger trends in India on the socio-economic front. Tracking inequality in wealth with Constitution’s back up should be an important task of the government. But, past governments have not been serious towards the growing malady expected to assume dangerous form in the coming years. The actions need to start immediately. 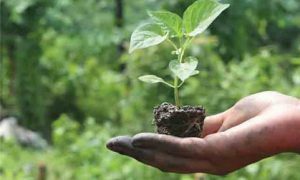 Regretfully, when the issue of taxing agricultural income is raised, it is said that the same is not possible as the power to tax such income is with the State Governments. The Central Government finds this argument convenient and refrains from taxing such incomes when the courts, including the Apex Court, have held that such incomes can be taxed by the Centre by amending the definition of ‘agriculture’ in the Income Tax Act because under the Constitution, ‘agricultural income’ means income as defined for the purposes of enactments relating to Indian Income Tax [see Karmtharvi Tea Estate Ltd. v. State of Kerala (1963) 48 ITR (SC) 83 & K.C. Thomas v. Agri. ITO (1973) 91 ITR (Ker). The Supreme Court has already held that the agricultural wealth can be taxed under the Wealth Tax Act. Hence, there is no constitutional barrier to tax ’agricultural income and wealth’ – the only the barrier is the lack of will on the part of the government and damaging of election prospects of the party in power. REGARDING exemption of dividends from income-tax and shares and securities yielding such income from wealth tax, the pleas advanced are that doing so would hamper incentive for investments and slow down stock exchange activities. No detailed arguments are needed to rebut such pleas but it suffices to merely quote Warren Buffet – one of the 8 wealthiest persons in the world – higher taxes do not affect investment or job growth. He has said that he worked with investors for 60 years and he has yet to see any one – not when capital gains tax was 39.9 per cent in 1976-77 – shy away from sensible investment because of tax rates. Lower rates of taxes and exemptions only make the rich super-rich without affecting growth and development. Hence, there is no substance in the arguments that taxing dividends, through income-tax and value of shares and securities through wealth tax will impede investments.